A total of38 lift systems and 63 kilometres of slopesoffer all types of difficulty levels, from simple family slopes to the challenging FIS World Cup slopes. And the altitude means there is always snow– winter fun is guaranteed! 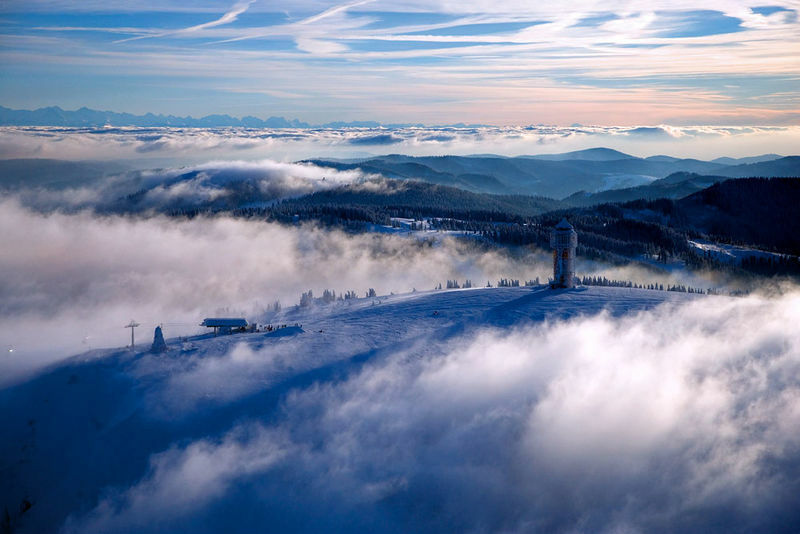 The “highest” in the Black Forest region forms the heart of the winter sports region in the Black Forest Highlands. Its altitude (950 – 1,450 m) ensures there is snow and with ca. 6 km of snowy slopes, winter fun is guaranteed on over 110 days of the year. The ski resort provides winter athletes with 5 chair lifts and 9 T-bar lifts with 16 descents and ca. 30 km of slopes. Further lift systems belonging to the Liftverbund Feldberg can be found in Altglashütten, Menzenschwand, Muggenbrunn, Todtnauberg, Notschrei, and Belchen. The whole region encompasses 38 lift systems and 63 km of slopes. Please note: The Red Inclusive Card does not permit pedestrians to use the Feldberg chair lifts. Red Inclusive Card service: one day pass for all lifts.